OTTAWA - A new report expects growth in Canadian renewable energy capacity to slow in the next five years compared to earlier projections, a decrease that comes after Ontario scrapped a contentious clean energy program aimed at boosting wind and solar supplies. The International Energy Agency’s annual outlook for renewable energy, released Wednesday, projects Canada’s renewable capacity to grow by nine gigawatts between 2017 and 2022, down from last year’s report that projected capacity would grow by 13GW. In mid-2016 the Ontario government suspended the second phase of its Large Renewable Procurement (LPR) program, axing $3.8 billion in planned renewable energy contracts. And Quebec cancelled tenders for several clean energy projects, which also led the agency to trim its forecasts, the report said. 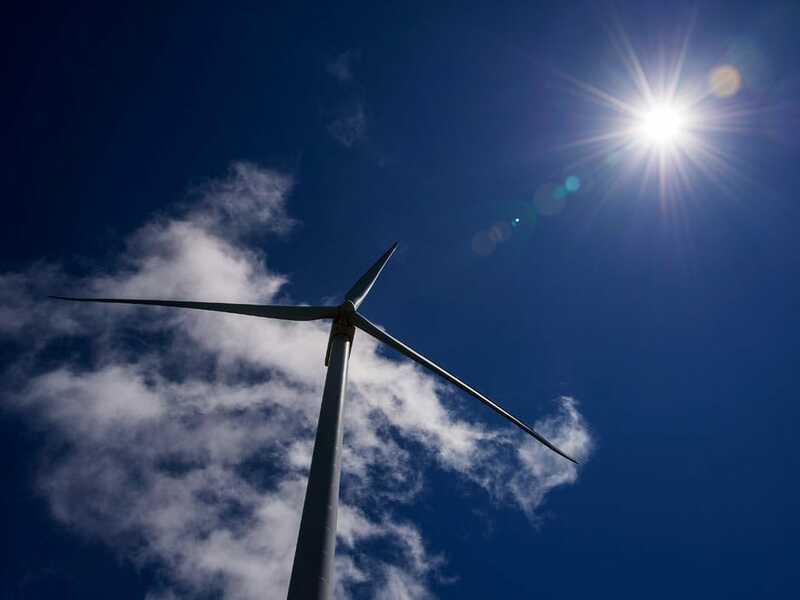 Ontario cut the LRP program amid anger over rising electricity bills, which critics said was at least partly due to the rapid expansion of wind power supplies across the province. Experts said the rise in costs was also partly due to major one-time costs to maintain aging infrastructure, particularly the $12.8-billion refurbishment of the Darlington nuclear plant located east of Toronto. The province also has plans to renovate the nearby Pickering nuclear plant in coming years. The IEA report comes as Ottawa aims to drastically cut carbon emissions, largely by expanding renewable energy capacity. The provinces have meanwhile been looking to pare back emissions by phasing out coal and implementing a carbon tax. While Ontario’s decision to scrap the LRP program is a minor setback in the near-term, analysts say that tightening environmental policy in Canada and elsewhere will regardless continue to drive rapid growth in renewable energy supplies like wind and solar. Even the threat of cheap supplies of natural gas, a major competitor to renewable supplies, is unlikely to keep wind and solar supplies off the market as costs continue to fall. “It’s not just this (Ontario) renewables program, it’s the carbon pricing program, the coal phase out, a whole plethora of programs that are squeezing natural gas margins,” said Dave Sawyer, an economist at EnviroEconomics in Ottawa. Canada’s renewable energy capacity is still expected to grow at a robust 10 per cent per year, the report said, and is expected to supply 69 per cent of overall power generation in the country by 2022. The IEA, however, expects the growth in hydro power capacity to “slow significantly” beyond 2022, after a raft of new hydro projects come online. Canadian hydro power capacity is projected to grow 2.2GW in the next five years, mostly due to the commissioning of the Keeyask plant in Manitoba the Muskrat Falls dam in Newfoundland and Labrador and the Romaine 3 and 4 stations in Quebec. Solar capacity in Canada is expected to grow by 2GW to 4.7GW in 2022, mostly due to feed-in-tariff programs in Ontario and renewable energy tenders currently underway in Alberta. Globally, China and India lead renewable capacity growth projections. China alone is expected to be responsible for 40 per cent of renewable capacity growth in the next five years, while India will double its renewable electricity capacity by 2022. The world is collectively expected to grow renewable electricity capacity by 43 per cent between 2017 and 2022.